Key lime trees are an excellent addition to any home gardener's repertoire: The white flowers that blossom are fragrant and produce small, thin-skinned limes that are sweeter than any Persian lime you could purchase in the supermarket. While a beginning gardener may have more luck purchasing a key lime tree that is at least two years old, an attentive, more experienced gardener can be rewarded by growing a key lime tree from seed. And because key lime seeds are poly embryonic, they will sprout more than one seedling from each seed. Key lime trees do best in a Mediterranean climate, meaning they need consistent warmth and a lot of direct sunlight. 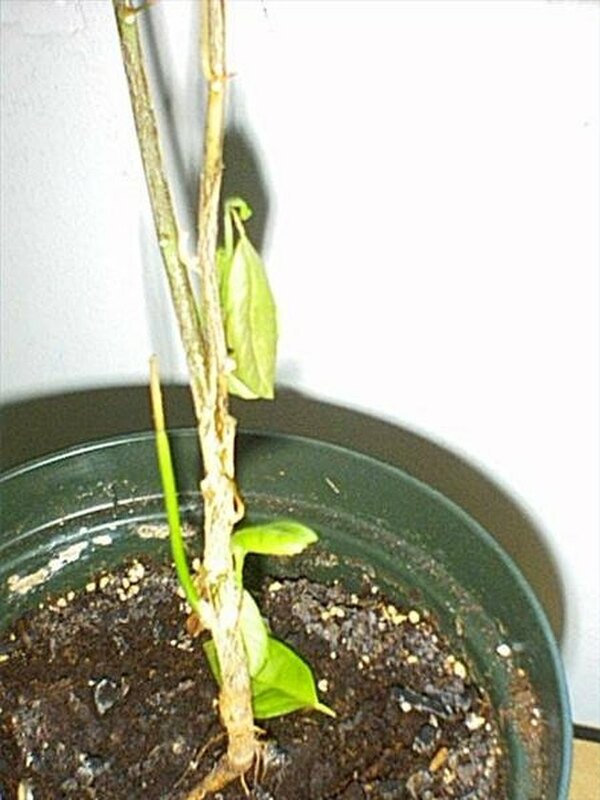 If you do not live in these conditions and can't simulate them indoors, then it is not recommended that you grow key lime trees. Key lime seedling. Image courtesy of gunsamaster. Fill the pot with soil. Make a hole with your index finger in the center of the potted soil, about an inch deep. Put one key lime seed in the hole and cover it up with soil. Do not pack down the soil; merely cover the seed. Water the seed and surrounding soil until water begins to seep out the bottom of the pot. Let the water drain; then place the pot on your sunniest, warmest windowsill. Water the pot regularly, keeping the soil moist to barely dry. Do not let the soil get too dried out or too waterlogged, as key lime trees like moist, warm conditions with good drainage. Continue tending your pots, and after about eight days, the seed should begin to sprout. Be prepared to wait up to two weeks before you see seedlings pushing up through the soil. Purchase a citrus fertilizer that is high in nitrogen. Feed the plant according to the instructions on the label, as fertilizers vary based on brand and concentration of plant food. Continue watering the plant regularly as it grows. When the trees begin to get stronger and appear to be inhibited by each other due to lack of space (growing in twisted or bent, or pressing up against each other), then gently pull out all but one of the trees and transplant them to 6-inch pots. Rachel Asher has been writing professionally for more than 10 years, specializing in healthcare, cooking and grant writing. She owns a business, Organic Brooklyn, selling handcrafted soap. She has a Masters of Philosophy from Trinity College Dublin, a Bachelors from SUNY New Paltz, and is currently studying herbalism.